This is a mural that came in from Flashy Trash, a vintage clothing store that was closing. The Co-op found a tuck-pointer willing to help remove the mural from the side of the building rather than see it painted over. 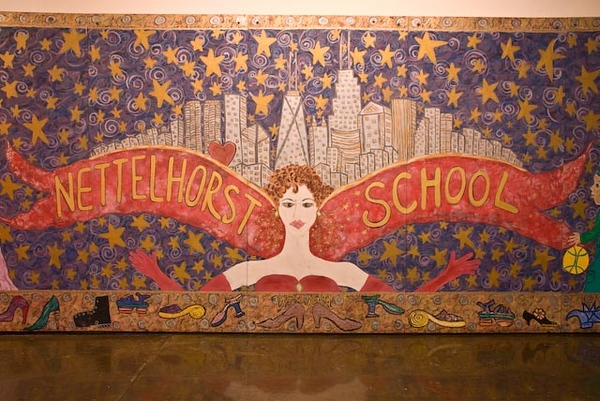 Parents altered the banner to read Nettelhorst School and made the street scene s bit more PG. --love this!